After publishing the article about 34 Italian knives, I have decided to take my research one step further, bringing you to the major Italian knife making regions one by one. I will focus on one region at a time starting with Sardinia. 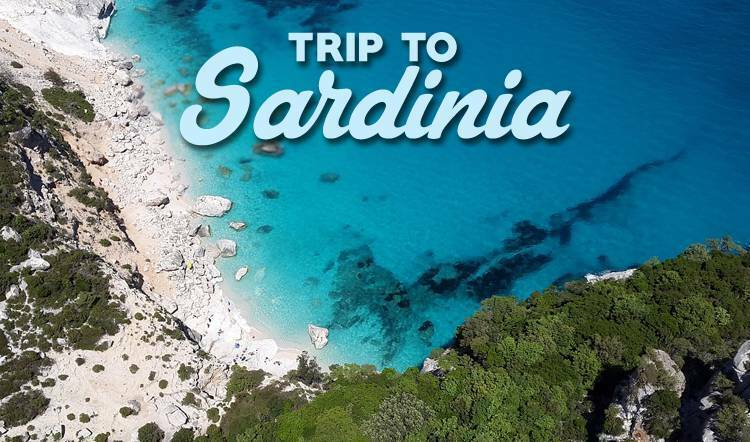 Sardinia is the second largest Mediterranean island, famous for its white sandy beaches and pristine waters, its food and wines. 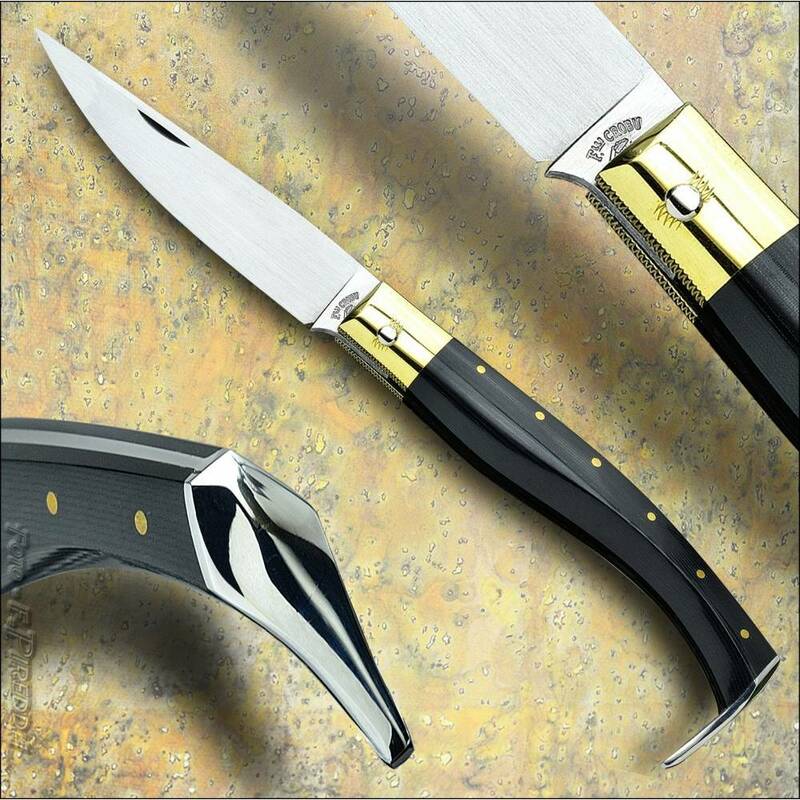 Interestingly, Sardinia is also home of centuries old knife making tradition. 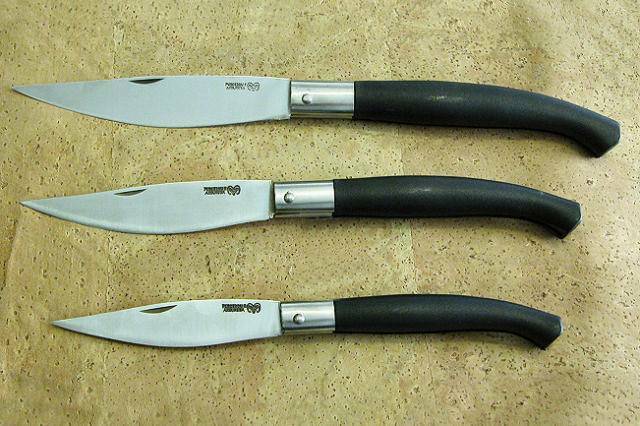 Knives play an important role in the Sardinian culture, even today. For Sardinians, a knife is still an essential tool used to work, hunt and prepare food. 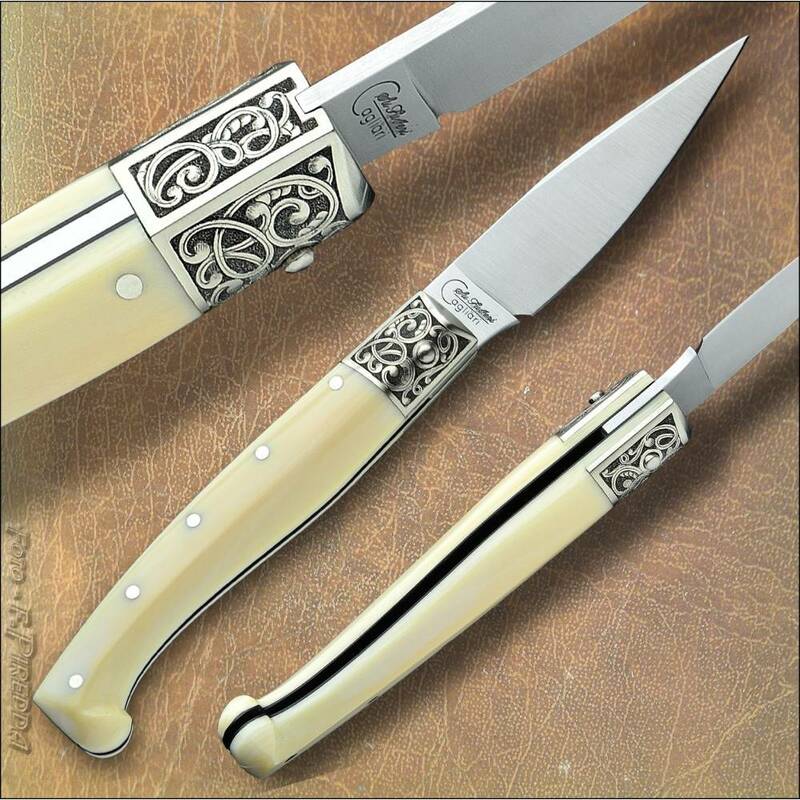 Many Sardinians bring a knife on them, even a small one, and consider it essential for everyday use. In almost every Sardinian town, even the in the smallest villages, you can find skilled knife makers. 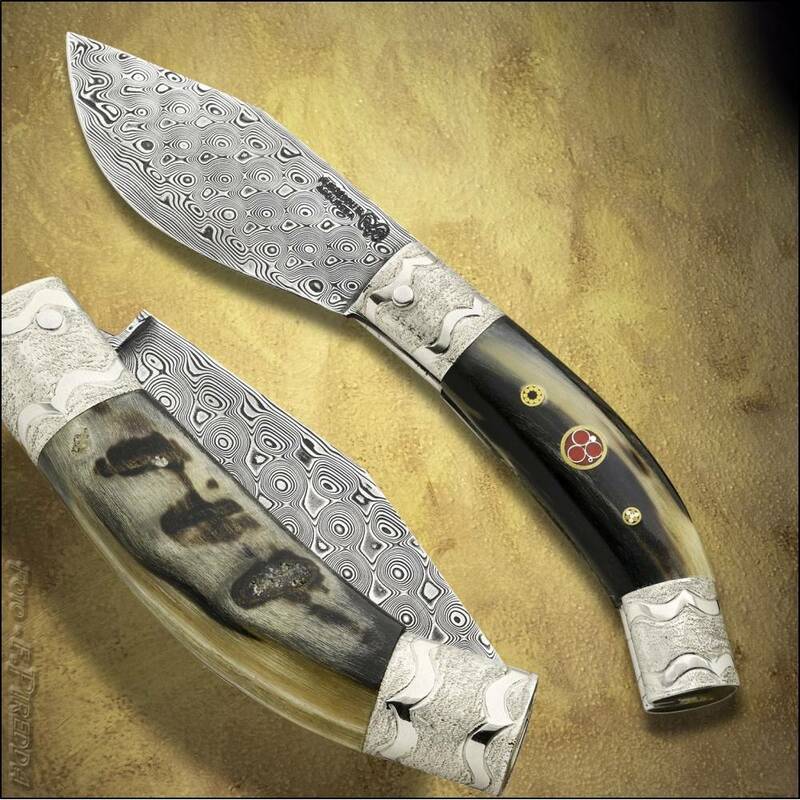 Often, each village has their own knife making traditions and peculiarities, which evolve generation after generation. 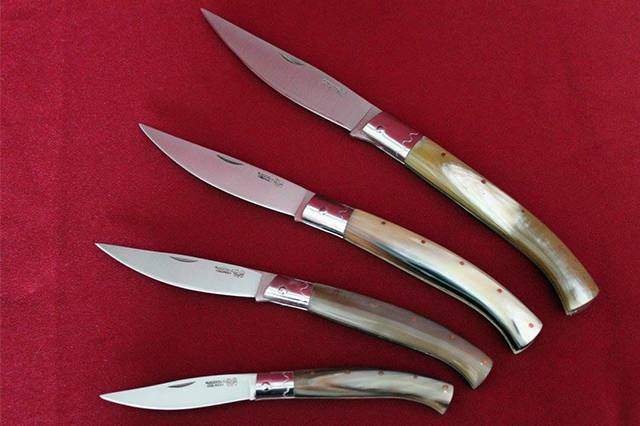 This article will present the main Sardinian knives, the most popular ones, coming from three different villages: Pattada, Arbus and Guspini. Sardinia is the 2nd biggest Island in the mediterranean. For comparison, it’s around the same size as New Hampshire (USA). 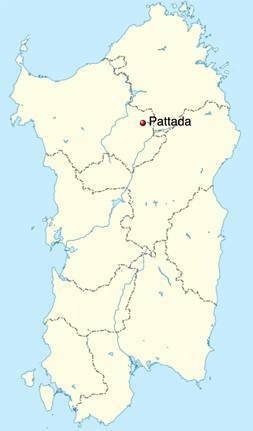 The old town of Pattada. 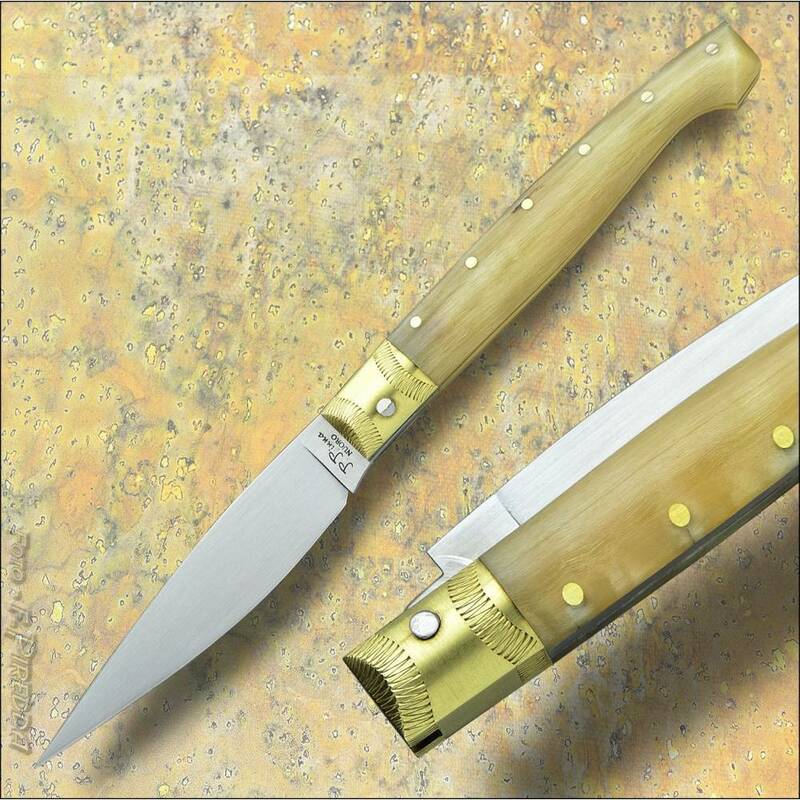 Here you can still find many traditional knife makers still making knives by hand. 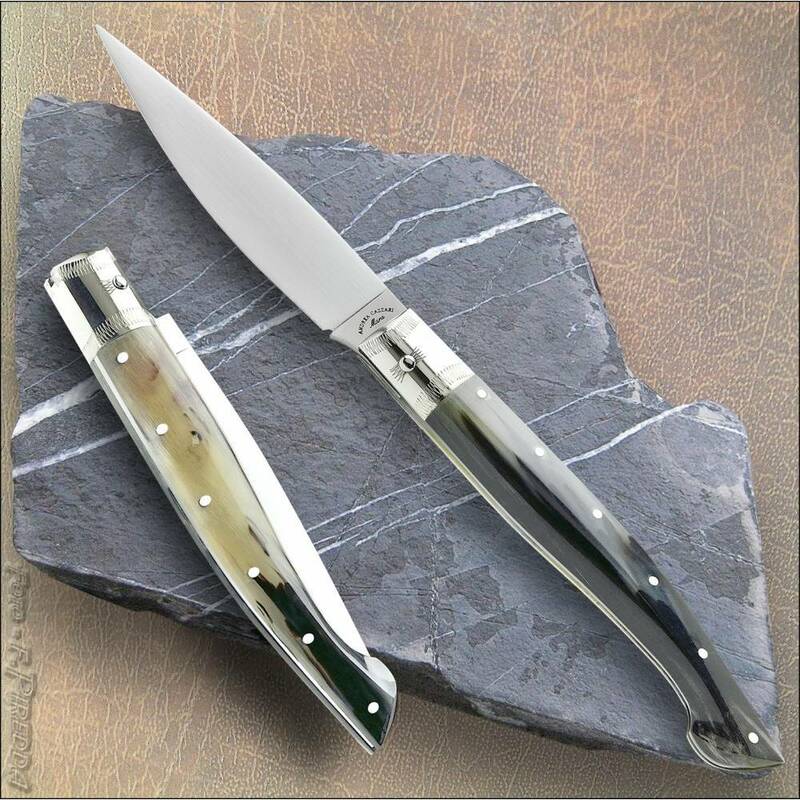 The Pattadese Knife (also called “Resolza”) takes its name from Pattada, a small village in the north of sardinia, renowned for its artisanal and artistic creations. 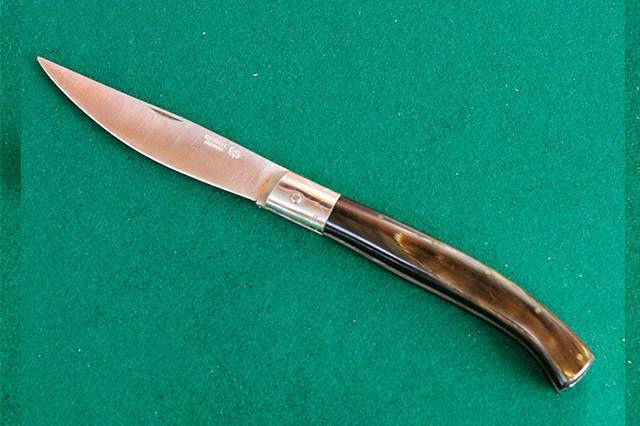 This foldable knife is the most famous Sardinian knife. 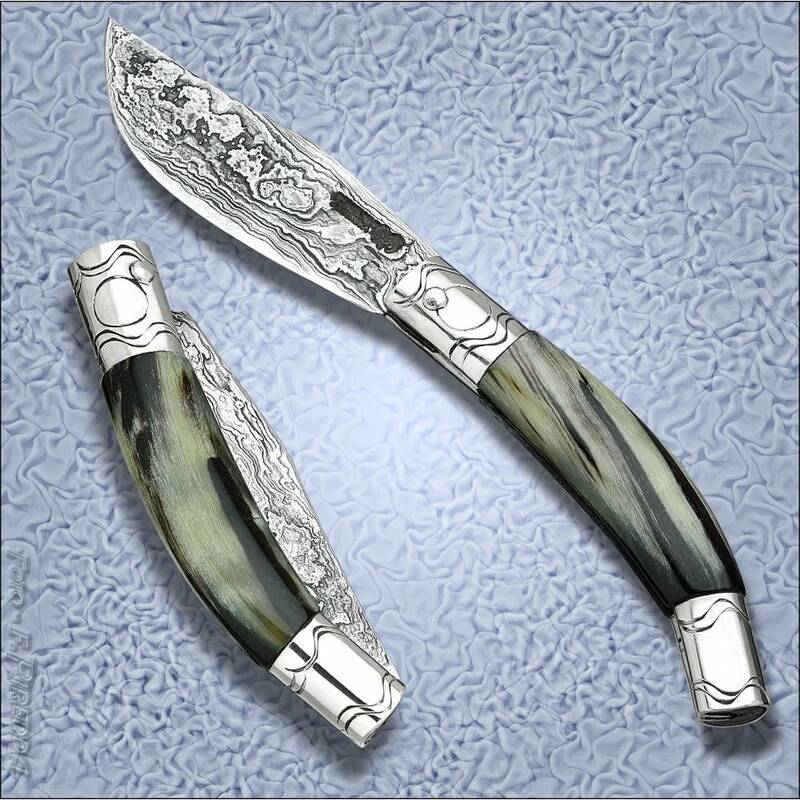 The Pattada knife has been made since the 1800, and features the traditional Mirto leaf blade. 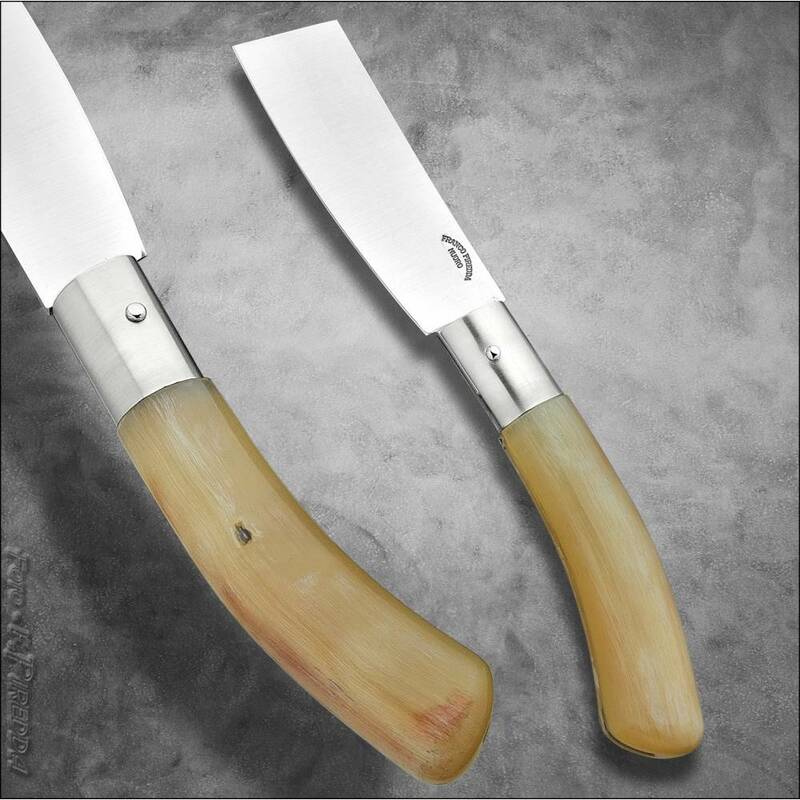 The blade length may vary depending on the use, but it’s usually around 12cm (4,7 inches), which is considered the original length, ideal for agropastoral use. 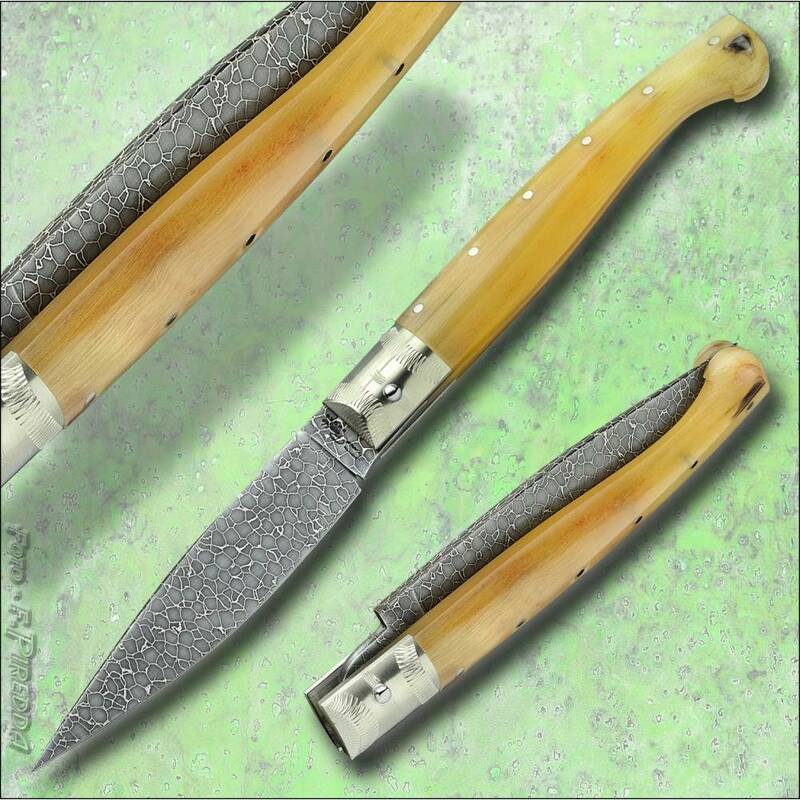 In fact, it was originally used mainly by farmers as a very versatile working knife. The Pattadese that we know today, has been made originally by the Bellu Brothers, Mimmia (1818-1906) and after the 1850 by Giuanne (1830-1908) , and perfected first by Zintu Canale Mannu and then by his nephew Zintu (1887-1976). Pattada is located in the north of Sardinia, 1h by bus/car away from Alghero airport and Sassari, 2nd town in Sardinia. 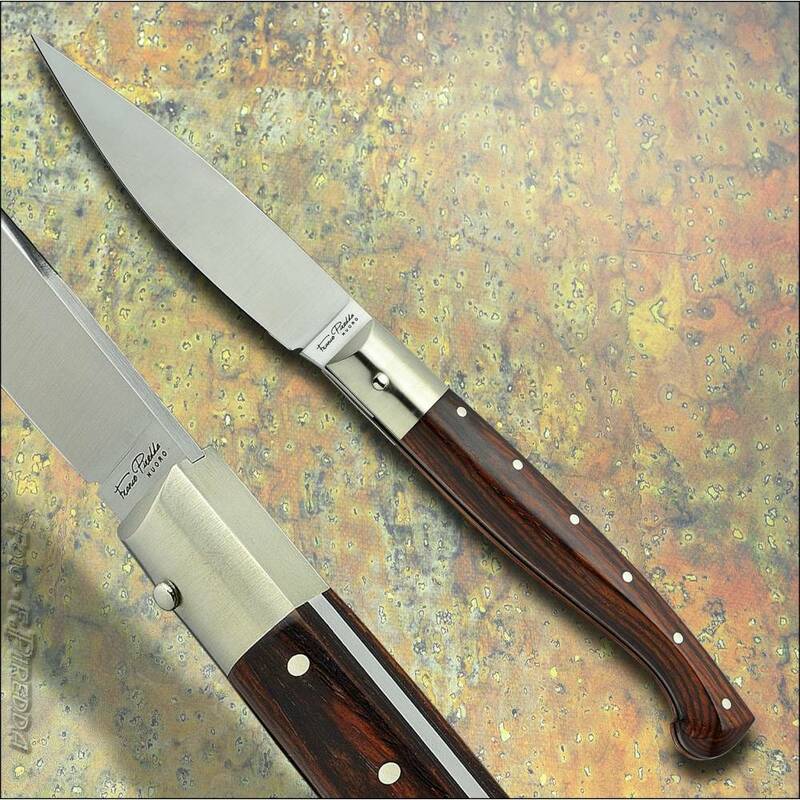 The reason why this knife became so popular is due to its robust structure. 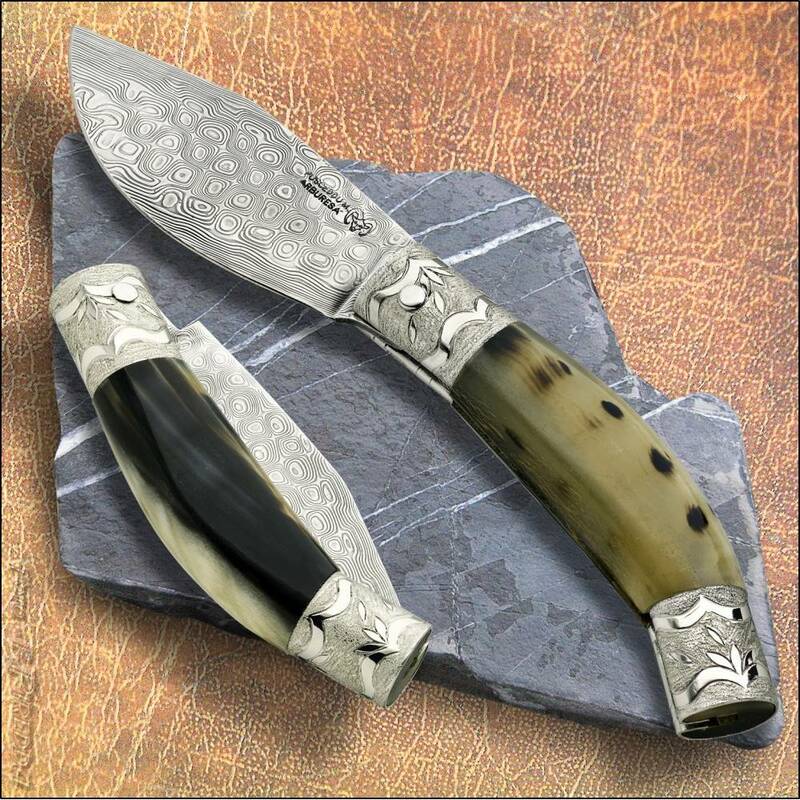 For the first time, local knife makers thought of making a knife with the handle made of two different horn parts put firmly together with a inner metallic part, which was then riveted in the whole length of the handle, to make it stronger and more stable. 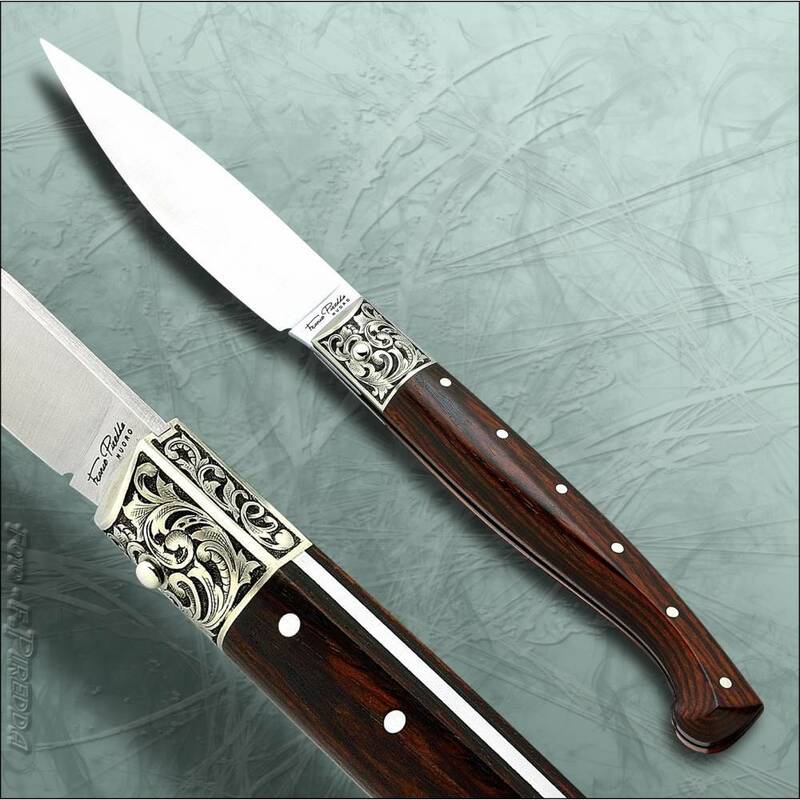 The other important characteristic is the blade, very sharp and durable. 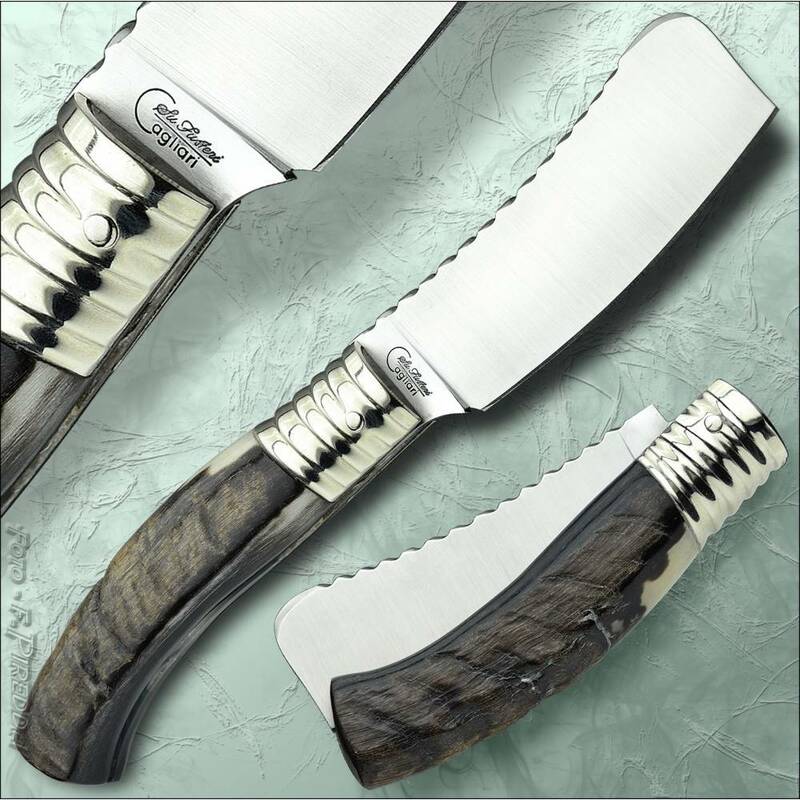 The Pattadese is an evolution from the Corrina, a fixed blade knife which was made during the ‘700. The leaf blade shape was kept and the knife was improved from there. 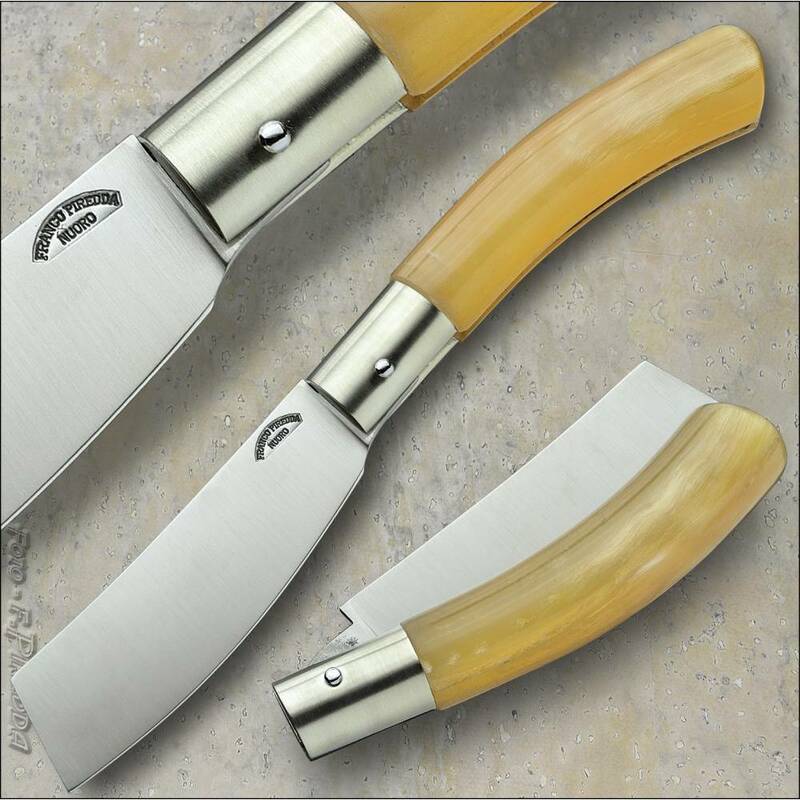 The little town of Pattada is still home of many artisans, making Pattadese knives by hand following the tradition. You can walk in Pattada and see small shops on the street, where old men still make knives by hand. Arbus is located in the south of Sardinia, on the beautiful Green Coast. Located on the opposite side of the island from Pattada, Arbus is an important knife town in Sardinia. 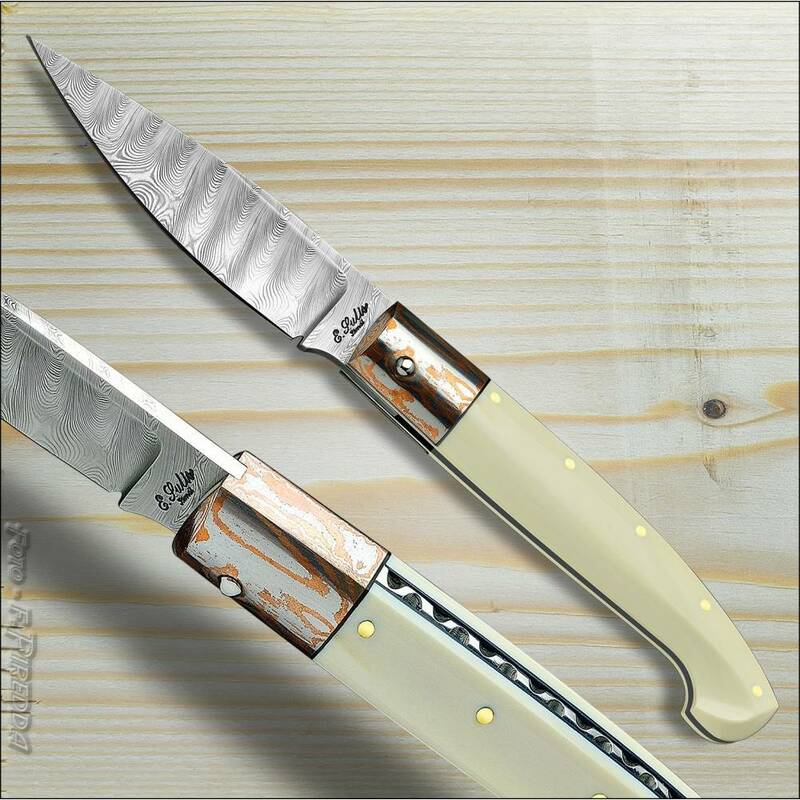 Two traditional knives are made in Arbus. 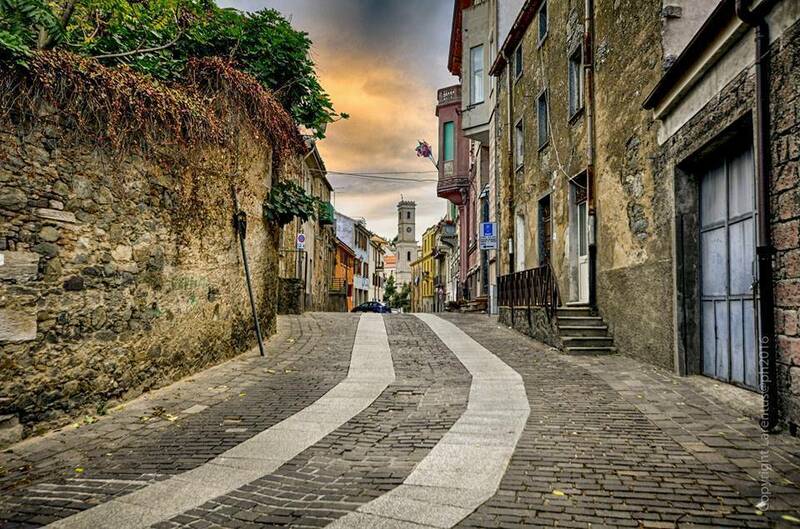 They were originally used for sheep farming and butchering. This is the traditional Arburese, also called “da scuoio“. It has a large “leaf” blade, different than the Pattadese blade. 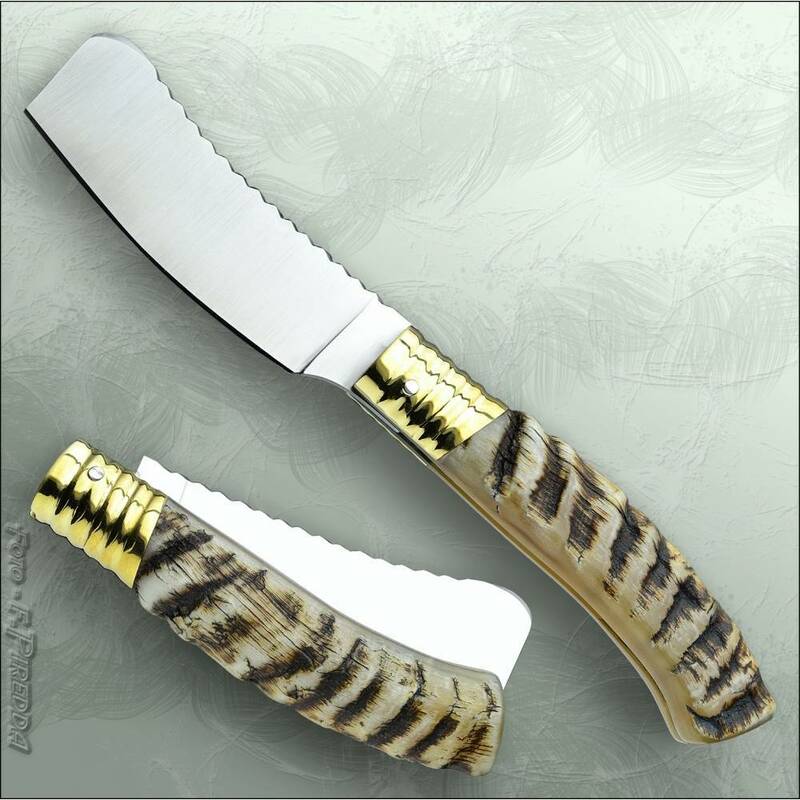 The handle is usually made of mutton horn, cut to fit the folding blade. The second type is called “da scanno“. 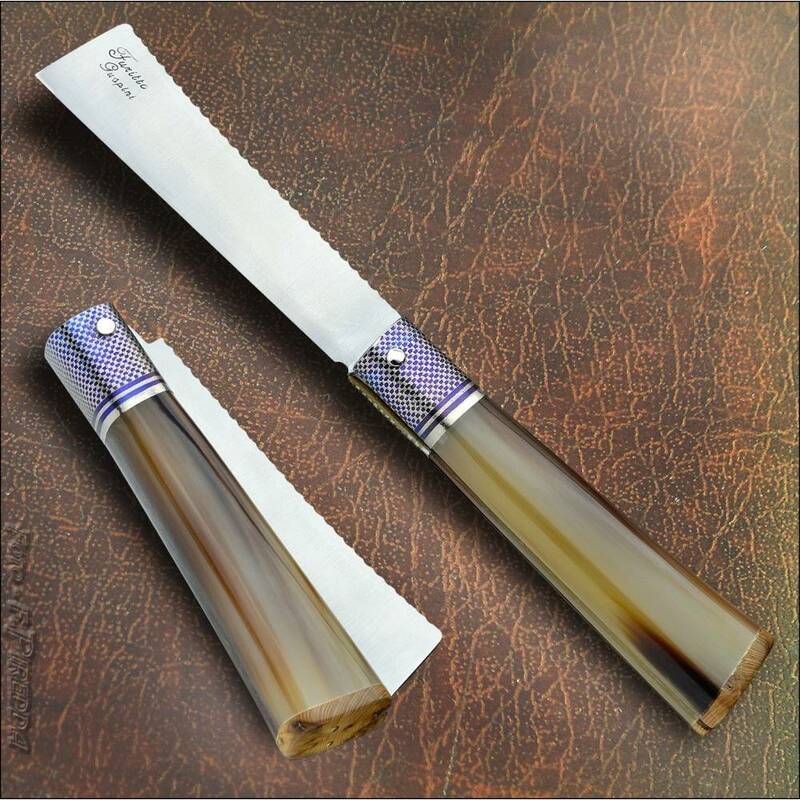 Similar to the Pattadese, it has a long and sharp blade. 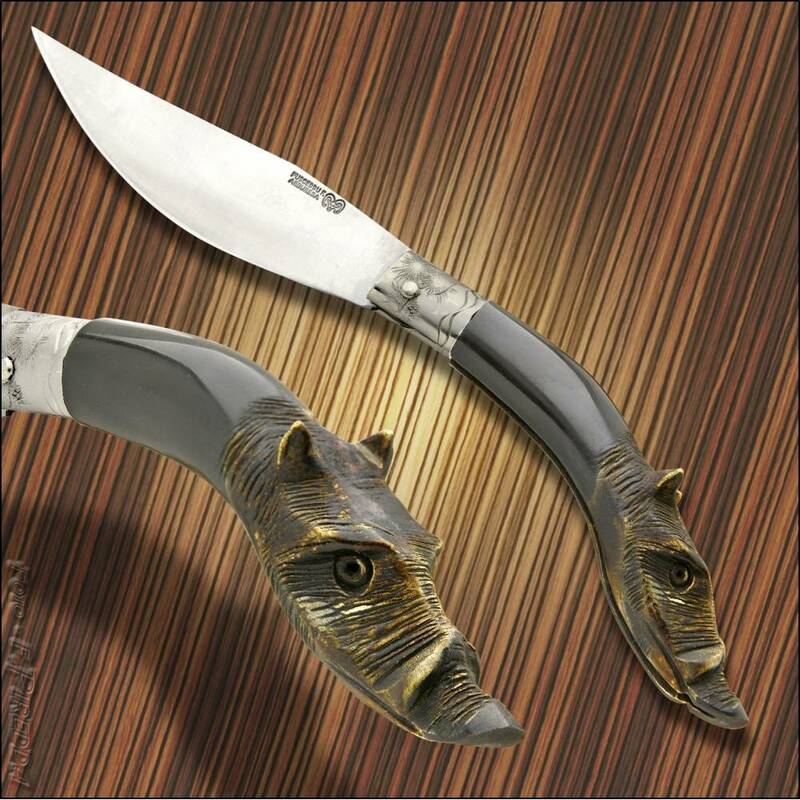 This knife was used to salughter animals. 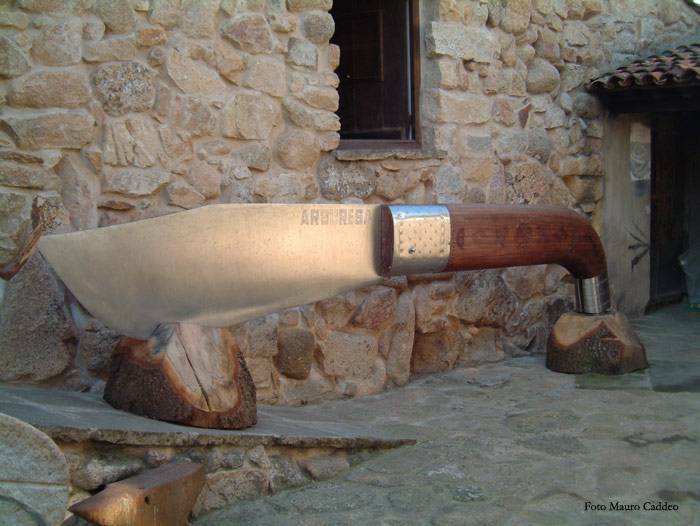 The “Sardinian Knives Museum” is in Arbus, created by Paolo Pusceddu, a popular knife maker from Arbus. The museum is organized in 4 different rooms, featuring unique artistic and historic knives from Arbus. 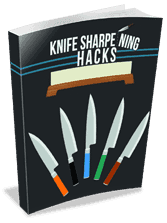 Some of the oldest knives are from the 16th century. Arbus is located very close to the most beautiful beaches in Sardinia. The museum is also famous for its world record: the heaviest knife in the world. Made by Paolo Pusceddu in 1986, it’s an Arbus-style Sardinian knife, 4.85 meters long (15.91 feet) and weighting 295kg (650 lb). Guinness World Record for the heaviest knife in the world. It’s an Arbus knife. View of Guspini, town in the south of Sardinia. 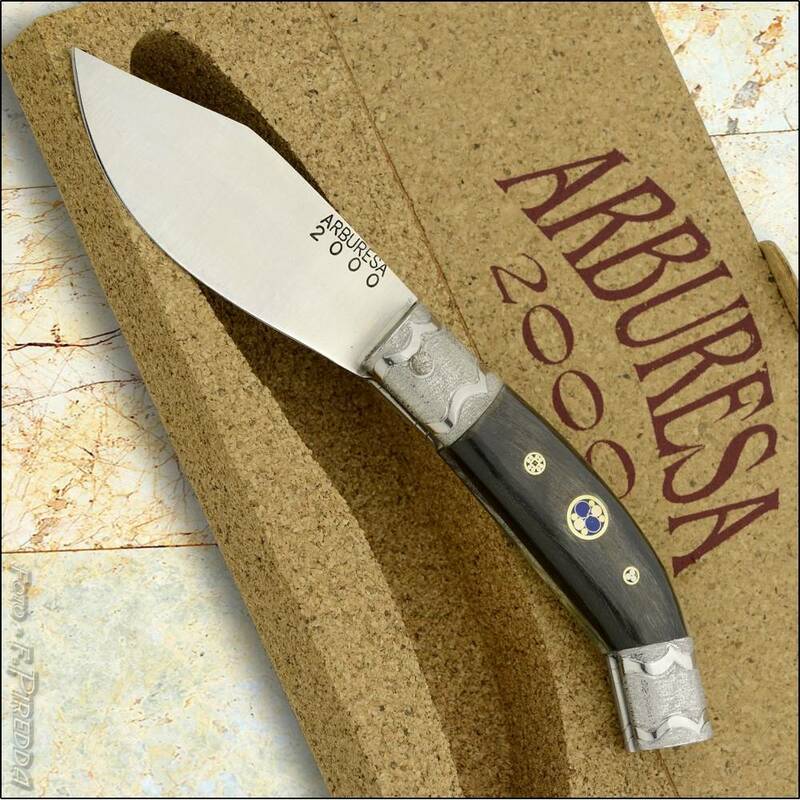 Located very close to Arbus, Guspini is known for a very specific type of knife called “Guspinesa”. 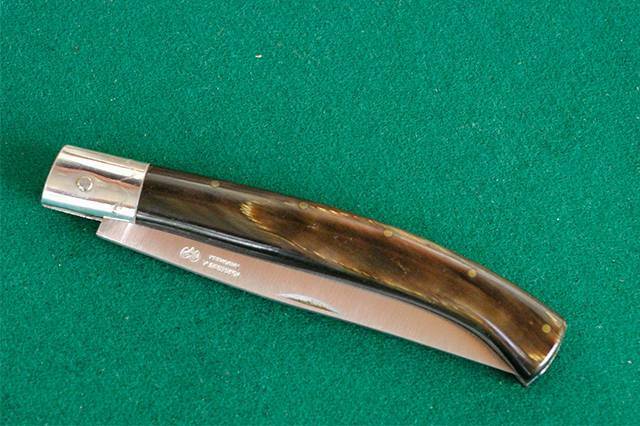 It’s a knife shaped like a straight razor, and it’s designed like that for a very specific reason. 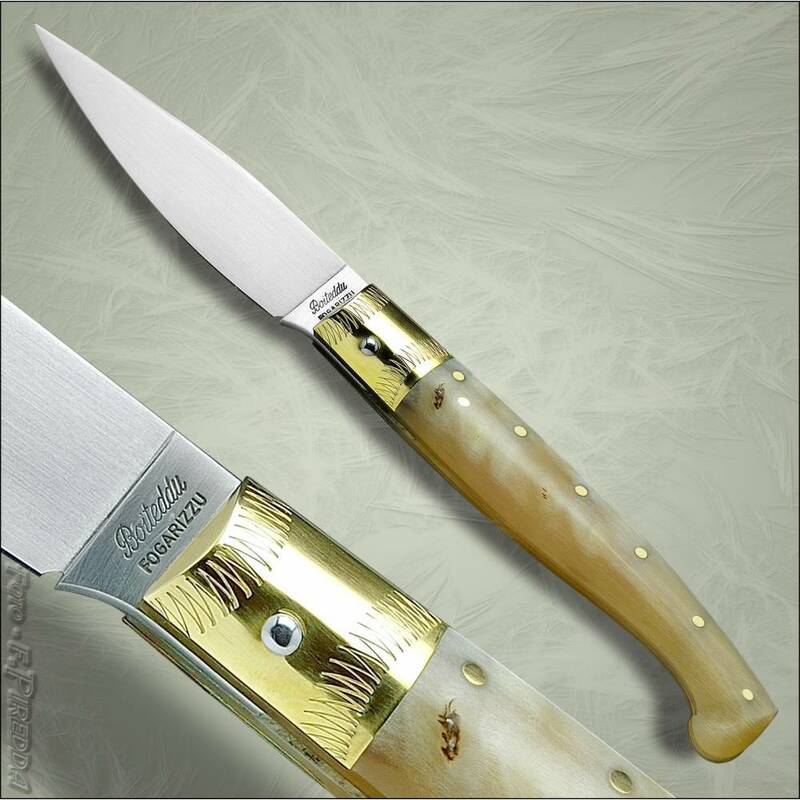 In the 1908, the Italian government had a new law, the “Giolitti Law”, banning sharp-point knives longer than 4cm (1.57 inches). It was a real problem in Guspini, as the majority of workers in the mineral mines brought knives with them everyday. This law was followed very precisely by authorities in the Guspini area. 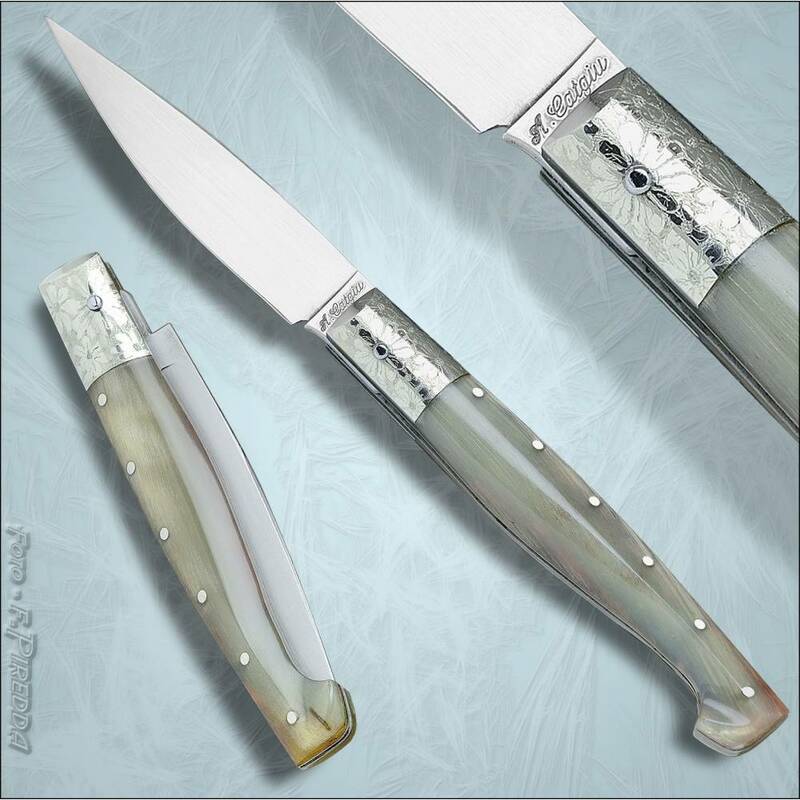 As a result, knife makers started producing what is now the classic knife from Guspini, with the “cut” blade (“mozzetta” in Italian). This law wouldn’t affect this specific type of knife as it came without a “sharp” point, so it didn’t have any length restrictions. 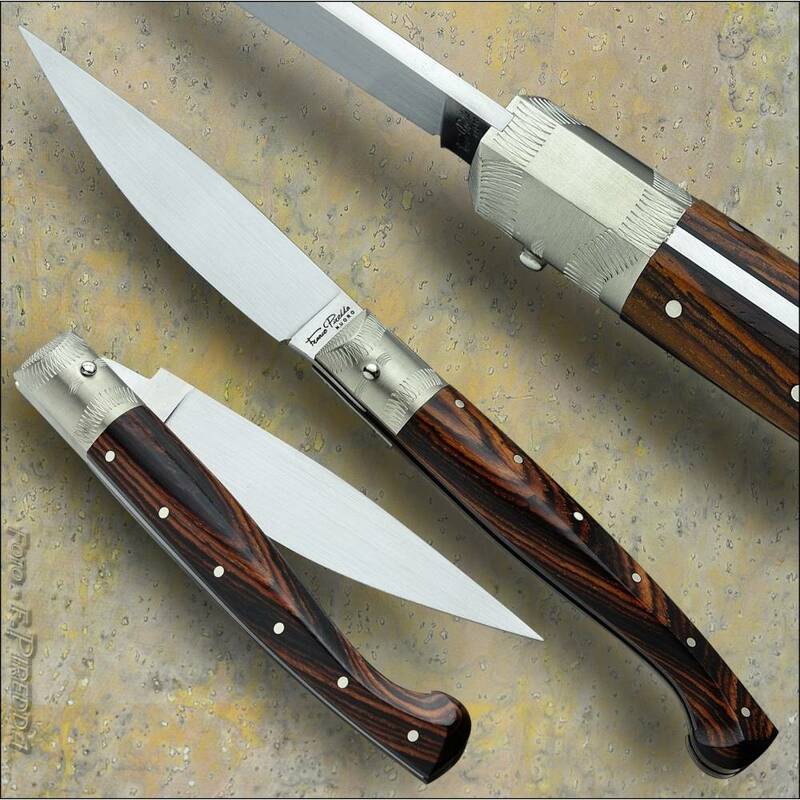 If you’re interested in buying knives from Sardinia, get in touch and I can give you all the needed information. Let me know if you like this Italian series by dropping a comment below.